THE first political work written by Marat was The Chains of Slavery, which was published in English in London in 1774. Its full title was “The Chains of Slavery: a work wherein the clandestine and villainous attempts of princes to ruin liberty are pointed out, and the dreadful scenes of despotism disclosed, to which is prefixed an address to the electors of Great Britain, in order to draw their timely attention to the choice of proper representatives in the next Parliament.” It bore the motto Vitam impendere vero. We have already seen the conditions under which this book was produced. Gentlemen, in time of security, when prosperity smiles upon the land, the eloquence of an angel would not be attended to; but when princes, to become sovereign masters, trample under foot without shame or remorse the most sacred rights of the people, attention is excited by the most minute object, and even the voice of a man so unsupported as myself may have effect upon the minds of the public. 1f by collecting into one point of view under your eyes the villainous measures planned by princes to attain absolute empire and the dismal scenes ever attendant on despotism, I could inspire you with horror against tyranny, and revive in your breasts the holy flame of liberty which burnt in those of your fathers, I should esteem myself the most happy of men. Gentlemen, the present Parliament by law must soon expire; and no dissolution was ever more earnestly wished for by an injured people. Your most sacred rights have been flagrantly violated by your representatives, your remonstrances to the throne artfully rejected, yourselves treated like a handful of disaffected persons, and your complaints silenced by pursuing the same conduct which raised them. Such is your condition, and if such it continues the little liberty which is yet left you must soon be extinguished; but the time for redress is now approaching, and it is in your power to obtain that justice you have so many times craved in vain. As long as virtue reigns in the great council of the nation, the prerogative of the crown and the rights of the subjects are so tempered that they mutually support and restrain each other; but when honour and virtue are wanting in the Senate, the balance is destroyed, the Parliament, the strength and glory of Britain, becomes a profligate faction, which partaking of the minister’s bounty and seeking to share with him the spoils of its country, joins those at the helm in their criminal designs, and supports their destructive measures – a band of disguised traitors, who under the name of guardians traffic away the national interests and the rights of a free-born people; the prince thus becomes absolute and the people slaves – a truth of which we have unfortunately had but too often the sad experience. On you alone, gentlemen, depends the care of securing the freedom of Parliament; and it is still in your power to revise that august Assembly which in the last century humbled the pride of a tyrant and broke your fetters; but to effect this, how careful must you be in your choice of those into whose hands you shall trust your authority. Reject boldly all who attempt to buy your votes; they are but mercenary suitors, who covet only to enlarge their fortunes at the expense of their honour and the interest of their country. Reject all who have any place at Court, any employment in the disposal of the great officers of the crown, any commission which the King can improve. By men thus dependent, and of whom the Senate is chiefly composed at present, how can you hope to be represented with fidelity? Reject all who earnestly mendicate your voice; there is no good to be expected from that quarter. If they had nothing at heart but the honour of serving the public, do you imagine that they would submit to act such a disgraceful part? Those humiliating intrigues are the traditions of vice, not of virtue. Merit indeed is fond of honourable distinctions; yet satisfied with proving worthy of them, it never debases itself to beg them, but waits till they are offered. Reject men of pompous titles; among them there is little knowledge and less virtue; nay, what have they of nobility but the name, the luxuries and the vices of it? Reject the insolent and opulent; in this class are not to be found the few virtues which are left to stock the nation. Reject young men; no confidence is to be placed in them. Wholly given up to pleasure in this age of degeneracy, only dissipation, amusements, and debauchery are their occupation; and to support the expensive gaieties of the capital, they are ever ready to act with zeal in the interest of a minister. But supposing them not corrupt, they are but little acquainted with the national interest; besides, naturally incapable of long-continued attention, they are impatient of restraint, they wish to have nothing to do but to give their votes, and cannot attend to what they call the dry business of the house and fulfil the duties of a good senator. Select for your representatives men distinguished by their ability, integrity, and love for their country; men versed in the national affairs; men whom an independent fortune secures from the temptations of poverty, and a disdain of ruinous pageantry from the allurements of ambition; men who have not been corrupted by the smiles of a court; men whose venerable mature age crowns a spotless life; men who have ever appeared zealous for the public cause, and have had in view only the welfare of their country and the observance of the laws. Confine not your choice to the candidates who offer themselves; invite men worthy of that trust, wise men who desire to be your representatives, but cannot dispute that honour with the unworthy rich who labour by bribes to force it out of your hands; do it in such a manner that, for the pleasure of serving their country, they shall have no occasion to dread the ruin of their fortune; and scorn even to eat or drink at prostituted tables. The utmost efforts will be exerted, as usual, by the ministry to influence your choice. Are the alluring baits of corruption to triumph over your virtue? Is the British spirit so sunk that none durst scorn to receive a bribe? When your great common interest ought to direct you, shall the selfish passions dare to raise their voice? Are they worthy to be indulged at such a price? Behold the dismal scenes arising from neglect of national interest; behold your senators busy in making, altering, and amending acts for securing the property of their dogs, whilst half of their subjects, lingering in misery from the villainy of monopolisers, cry to them for bread; behold your country bleeding at the feet of a minister of the wounds she has received. Gentlemen, the whole nation casts its eyes upon you for redress; but if your heart be shut to generous feelings, and justice to your fellow-subjects cannot move you, let your own interest at least animate you. To you is left a power to secure the liberty of the people, or enslave the nation; during the time you proceed to election you are, it may be termed, the arbiters of the State, and can teach those to tremble before you who would make you tremble before them. Be made sensible of the importance of your functions; let honour raise its voice and a becoming pride elevate your minds. How can the dignity of your office be united with the infamy of corruption? Most of the candidates are lavish of fawning caresses, and spare no baseness to gain you to their interests, but look upon you with disdain from the instant they have extorted your votes. Resent such affront, reject their hypocritical courtesy, think on the insolent contempt which follows, and fix your choice upon men who are conscious of what they owe to their constituents. Parliament under due influence will do no act to promote the public welfare; nay, those who have carried their election with money, not satisfied with neglecting your interest, treat you as a mercenary gang of slaves; eagerly seeking to be repaid any way, they traffic away your rights, and use the power you have trusted them with to ruin you. Are the baits of corruption so attractive as not to be counterbalanced by the solid advantages tendered by virtue? But what are the bribes taken for votes to the losses suffered by a neglect of your interests, to the advantages you would reap from being represented with ability and fidelity. Besides what you owe to your country and yourselves, consider what you owe to posterity. How careful were your ancestors, although with hazard of their lives, to transmit those rights as intact to their children as they had received them from their fathers. What they did with labour, you may do with ease; what they did with danger, you may do with safety. Will the holy flame of liberty which burnt in their breasts never burn in yours? Will you disgrace the names of your forefathers? Will you not shudder with horror at the idea of injuring your posterity? Is the age of liberty passed away? Shall your children, bathing their chains with tears, one day say, “These are the fruits of the venality of our fathers”? Gentlemen, with virtue and courage a people may ever maintain its liberty; but when once this inestimable treasure is lost, it is almost impossible to recover it; and it is very near being so, when electors set a price on their votes. Taking up Rousseau’s parable, Marat maintains that commerce, in, spite of its apparent advantages, is, looked at as a whole, detrimental to manners and to liberty. The merchant, in procuring the products of different climes and countries, makes the people subject to new wants. He regards his compatriots and strangers with an indifferent eye. The country of the merchant is the country where he makes the most profit. His speculations lead to the formation of privileged companies, which by their monopoly prejudice the poor handicraftsman and retailer. But the most widespread evil of commerce is the increase of luxury amongst all classes of the people which it brings in its train. The monarch being the source of all advantage in the State, the one thing needful is to please him. In order to lessen the danger of a unanimous revolt, the prince divides his subjects into opposing classes. He raises troops from the people themselves, and attaches them by personal interest to his service, whilst the people provide the means of paying them. He nominates judges to render arbitrary judgments as suit his purpose. Finally, he gains over priests to preach submission to himself in the name of God. All these measures taken, it remains only for him to put the coping-stone to the whole by placing the nominal power in his own hand, thereby protecting himself against all possible question of his authority. Such a course is now easy, since he has the real power already at his disposal – soldiers, judges, gaolers, janissaries, executioners. This last step is the riveting of the “chains of slavery” upon the unhappy people. All this sounds to modern ears strangely antiquated, even as the echo of a far-off time. Since 1774, since the French Revolution itself, we have indeed moved a long way from the short and simple method of reducing all the evils of society to the calculated wickedness of its princes and rulers. Yet the whole is eminently eighteenth century. For all periods of history we find the same two actors placed on the stage. We have here the villain and the hero of contemporary speculation – the villainous prince and the heroic, if down-trodden and stupefied, people. Once rouse the hero from the magic sleep into which the wicked giant has thrown him, and the hero will come to his own, and the machinations of the hateful ogre will be confounded and brought to nought. It is all so like a fairy tale. At all times and in all ages, where political communities have existed, there was the cruel deceiving tyrant, and the good, deceived, enslaved people. Of evolution, economic, political, and intellectual, not so much as a rudimentary idea is discernible. Of the growth of classes, religious conceptions, and political forms, by a necessary process of development from elementary germs, of the dependence of political upon economic forces, of the action and reaction of speculative beliefs on both, in short, of society as a living organism, we have no trace. All is so delightfully simple-black and white, bad and good, ruler and subject, prince and people! The next important contribution of Marat to political literature was his Plan de Législation criminelle. Although, primarily, as its name implies, a treatise on jurisprudence, it is a practical application of Marat’s Rousseauite theories, political and social, to legislation. This book was first issued in 1780, and a second edition appeared ten years later. Its author was very proud of the work, which he regarded as the “least imperfect” of all that his pen had produced. It was then the age of literary competitions, academies and other bodies vying with each other in propounding themes. Rousseau, as is well known, started his career by competing in one of these ventures. In 1778, a Swiss society of Bern suggested as a subject for a concours of this kind the sketch of a penal code. Marat entered the lists with the work above mentioned, but whether it received recognition at the Society’s hands we do not know. In any case, it was published two years afterwards at Neuchâtel, the home of Marat’s youth. The book immediately created a sensation, not alone in Switzerland, but also in Germany. It seems scarcely necessary to call attention to the condition of criminal law and practice in the pre-Revolutionary period of the eighteenth century. Suffice it to say that the law and its administration, including punishment, remained on a distinctly mediaeval basis, with but little if any modification. Forms and punishments were equally archaic. Torture was still admissible, and not seldom applied. Mutilation, burning alive, and quartering were still recognised, and continued to be occasionally resorted to. Voltaire characterised the system of laws current in France as “a chef-d’oeuvre of atrocity and stupidity.” The feeling of the urgent need for reform was universal amongst thinking and humane people. Criticism of the prevailing system was, of course, easy, and though attempts at constructive reform were not so easy, yet these were not wanting, and the great work of the noble-minded Milanese Beccaria had already appeared before Marat’s treatise. Marat divides his work into four parts. The first deals with the fundamental principles of legislation. Whilst admitting that all the troublers of social order ought to be punished, Marat asks in what consists social order. “Equal rights,” he answers, “reciprocal advantages, mutual help, these are its foundations.” The author then proceeds to ask whether these are the bases on which the existing social order of European States rests. No, for we there see “none but vile slaves and imperious masters.” Even in the less arbitrary States the ruling classes, though perhaps not ostensibly above the law, can elude it without difficulty. Men are born in the one condition or the other, either masters or slaves, and it is only the exception if here and there on either side one leaves the position in which he has been born; and even where this is the case, it is almost invariably, on one side or the other, the result of intrigue, baseness, or treachery. Many will be disposed to see in the foregoing passages an anticipation of Modern Socialism. It must not be forgotten, however, that Marat’s suggestion implies no fundamental change in the basis of society. The rich were to be taxed for the purpose of subsidising “workhouses” (in the true sense of the word) for those who happened temporarily or permanently to be out of other employment, in order that those should become supplied with the necessaries of life. He does not propose any alteration at all in the ordinary relations of employer and employed. We may presume that he was ready to remove the then existing guild-privileges and restrictions, and the trammels created by what he considered “bad laws” cunningly devised for the enslavement of subjects, in short, all that savoured of feudalism or bureaucratic oppression in those relations, but beyond that he would hardly have seen his way. The principles laid down by him do not exclude even the existence of the distinction between rich and poor, provided that there are none so poor as to lack the necessaries of life. This was the general theory of the Rousseauite revolutionary school. They deprecated excess of luxury, and strongly insisted upon the right of every citizen to live, at least, and hence to possess the means of living. But the objection to luxury was merely on vague moral grounds, as being opposed to true republican austerity, and it had no economic significance as such. Neither Marat nor any other politician or writer of his generation could have forecast the idea of the transformation of society through the transference of the instruments of production, distribution, and exchange from the hands of individuals or groups of individuals, carrying them on for their own profit, to those of the organised power of the community, working them for the common benefit. All honour, however, to Marat for his idea, born as it was out of due time! For if it does not imply fully-fledged Socialism in its present-day sense, it was at least strongly socialistic in its inception and tendency – more truly so, in fact, than many proposals which are now being lauded or denounced under the label of “Socialism”. As true political crimes, Marat reckons to abandon one’s country, to render authority odious by abuse of its functions, to sell justice, to betray the State, to destroy the strength and wealth of the State, and finally to plot against the State by seeking to corrupt the army and the heads of State departments for the purpose of overturning law and seizing the supreme authority. “These are heinous crimes, inasmuch as they sacrifice the welfare of the multitude to the cupidity and ambition of some individuals.” But, as they are more or less grave, he suggests that their punishment should not be the same in all cases. The author then deals with crimes against property, advocating humane penalties for this class of offence. The second section ends with a dissertation on crimes against sexual morals. The State has, in the opinion of Marat, the right to control the chastity of its members on the sole ground of guarding the integrity of family life and of “favouring propagation, which has always constituted the strength of empires”. That the “favouring propagation” with a view of strengthening the State, or perhaps the tribe, or confederation of tribes, was the origin of the absorption of this purely personal department of human affairs into the domain of the ordinary public and criminal law is in all probability strictly correct. But the modern man would hardly be willing to hand himself over body and bones to be argumentatively slaughtered by Malthusians in admitting this as the ground of his approval of treating such offences in the present day as crimes. He prefers to take refuge in general statements as to the immorality or degradation of many of these offences, or to regard his personal disgust at them as a sufficient reason for penalising them. These remarks, of course, apply to that section of sexual offence which in its nature bars the so-called legitimate purpose of the sexual act, namely, propagation. On the general question of sexual morality, Marat was in favour of equality between the sexes in the apportionment of the retributive consequences of the act. This part of the book shows, whatever we may think of it, that Marat’s views on these questions were not those of a debauchee. It tends to dispose of the vulgar and commonplace slander against him that he was a man given to excess in this respect. On the particular question of prostitution, Marat points out that the only way to suppress it is to remove the misery of those women who are driven by poverty to put a price on their “virtue”. In the third section Marat discusses the law of evidence, its technicalities, the nature of proof, and other questions interesting to jurists, but of no special significance to the general reader, and having no important bearing upon Marat’s later career. Section four and last treats “of the manner of acquiring both proofs and presumptions during the instruction of the procedure, of the manner of injuring neither justice nor liberty, and of reconciling mildness with the certainty of punishment, and humanity with the security of civil society”. As safeguard for the poor man, Marat proposes to establish in each town an advocate of the poor, charged with the defence of all those too poor to pay for their own defence. He would abolish all courts the judges of which are nominated by the monarch. Further, whilst recognising certain advantages flowing from it, he objects to the institution of a permanent tribunal, advocating the carrying-out of the jury system of trial by peers to its logical conclusion. The foregoing sketch should convey to the reader a sufficiently good general idea of what we may conceive as Marat’s most important pre-Revolutionary work. Strange to say, it was more popular in Switzerland and Germany than in France on its first publication. It was not until its reissue by its author in 1790, in a corrected and somewhat expanded form, that it came largely under the notice of French readers. 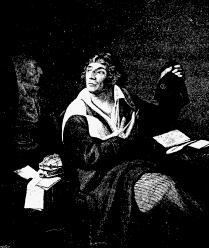 We are now on the eve of great events, and the following chapters will deal with Marat not as the fashionable doctor, the man of science, or the writer of learned treatises in other departments, but with the pamphleteer, journalist, placardier, orator, and tribune of the people, in short, with the Marat of history – the Marat of the French Revolution.